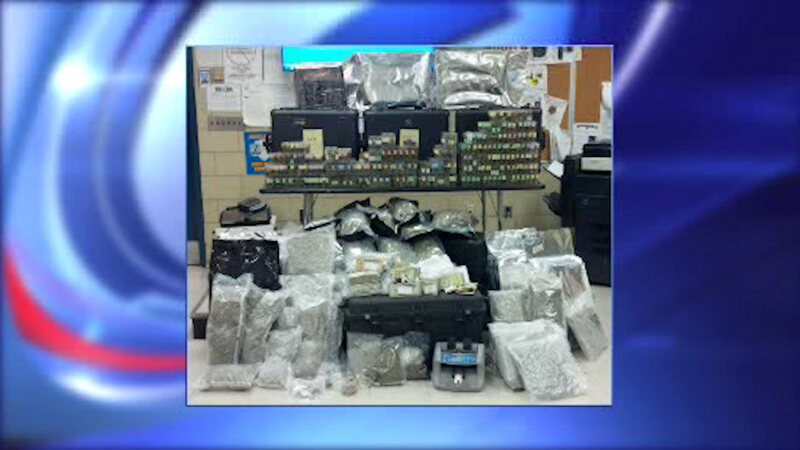 BROOKLYN (WABC) -- A $10-million drug ring was busted in Brooklyn. Narcotics officers discovered 300 pounds of marijuana inside a U-Haul headed from the west coast to Brooklyn. The pot was hidden among furniture in the truck. The driver and a passenger are now under arrest. Investigators say they also discovered a garage full of drugs and inside the driver's garage.